We believe that the happiness of our customers determines our success. So we ensure both by getting our customers to their destination in comfort and on time. 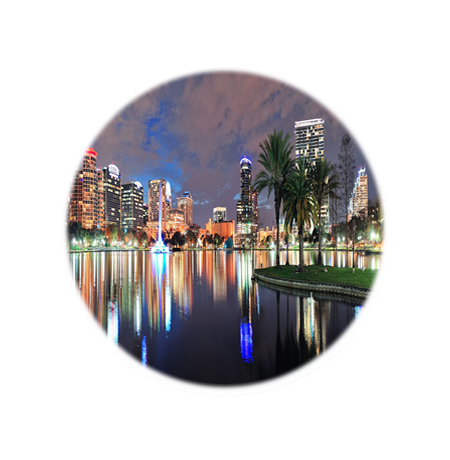 Call us now at (407) 470-4121 to reserve your trip from Sanford International Airport to Downtown Orlando. Or you can reserve your trip directly on this page by using the form below. Fees include expenses, but does not include gratuity - please fill in the Departure Information below if you select "Yes"
Enter your SCHEDULED Arrival Time - please enter the time using any of the following example formats: "1:00pm", "1pm", etc. By clicking "Submit Reservation" you are acknowledging and agreeing to our Terms and Conditions. Please do not click "Submit Reservation" more than once. Thank you for the great service, prompt and dependable, great price. Most other car services charged a lot more and I was very happy with the service. Prompt and courteous service. Got me to my destination with time to spare! It was great to have someone drive me and my family around whenever we needed. We want to accomodate you! If you have any special needs, or if you have any special requests, please don't hesitate to ask.